If there was a zombie apocalypse, what's the first thing you would do? I would break into the Four seasons hotel. I would go straight to the roof. I would turn on some south park and just probably cry. If there was a zombie apocalypse, what's the first thing you would do? I would break into the Four seasons hotel. 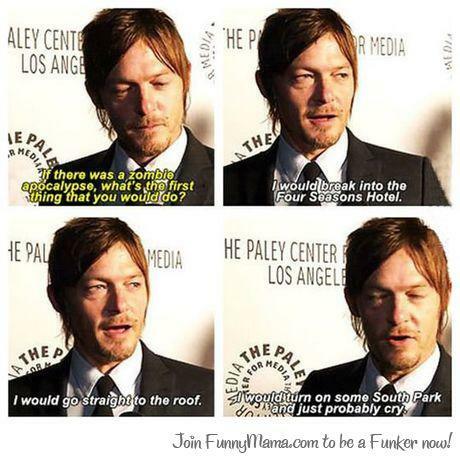 I would go straight to the roof. I would turn on some south park and just probably cry.